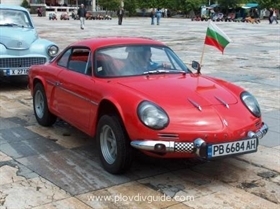 The “Rose Valley” Rally is the first auto-rally in Bulgaria which started back in 1938. Now it has been restored again in the year 2000, as a “retro rally”. May 27th and 28th is the 7th edition of the “Rose Valley” Retro Rally – an automotive competition for rerto and classic cars and motorcycles. Both the start and finale of the rally are taking place at the plovdiv Central square, right outside the Army Club. The event today takes place 10 am -12 pm, while tomorrow it is from 5 pm to 7 pm.